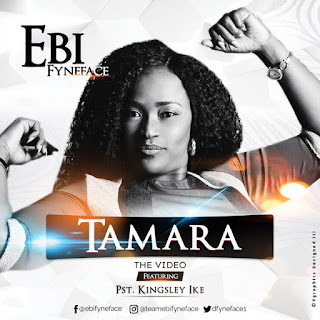 Ebi Fyneface releases the official video for her song Tamara. Tamara if off here recently released album “His Presence” which features from Pst Kingsley Ike, Elijah Oyelade, and many other notable gospel music ministers. Tamara means Big God in Ijaw dialect. The single features the Pst Kingsley Ike and the video were shot on location in Abuja Nigeria. The video was directed by Charlie gold. According to Ebi, the reason I live, what I am and have is because I serve a Big God, He is the reason I’m alive and here today.